Our accounting office is now receiving payments for cap and gown. The deadline to pay for your regalia is February 27th. 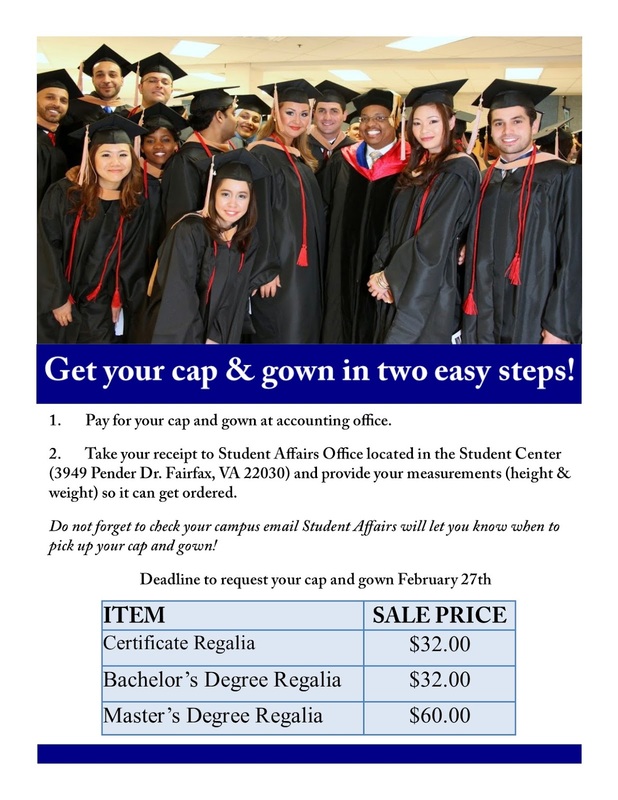 Don’t forget to bring your receipt to Student Affairs with your measurements so we can order your size!